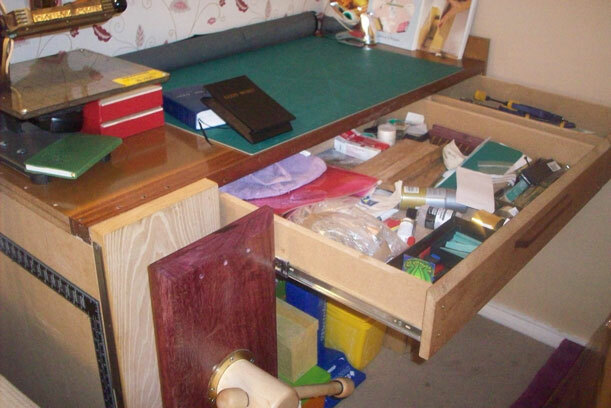 Adding our March 2012 Workbench of the Month from Alex P. of Cowfold, West Sussex, UK to our Lake Erie Toolworks Blog for ease of access and historical awareness. I love the other benches of the month but this had to be made to a budget and to fit a space in our lounge. 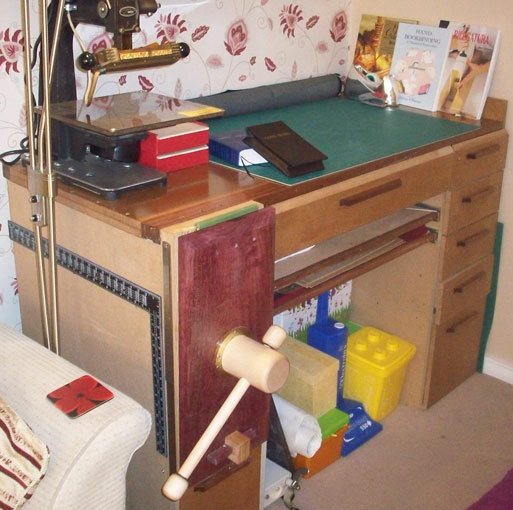 As you can see it’s used for our bookbinding business, hence the lighter construction and sliding draws and toy storage!!. 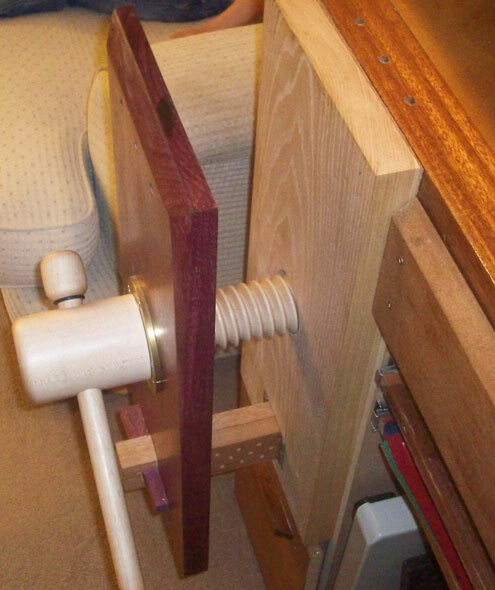 The leg vice is fronted by a piece of 30mm purple heart and backed by wallnut. Desk is 18mm varnished MDF edged by teak reclaimed from door frame being thrown out, to give it strength. Being in the house makes the vice a great talking point and quite honestly it’s so nicely made I like to look at it. I’m no carpenter but it was easy to install, I’m in the UK, delivery was dispatched as promised.